Maybe you blame your smartphone or your open office for the fact that you can’t concentrate at work. But distraction isn’t exactly a new problem: In the 1920s, Hugo Gernsback published a design for a creepy-looking helmet that blocks out sound and vision so someone can focus on their work. As a writer, editor and inventor, he had a lot to do and no time for distractions. And yet, they lurked everywhere he looked. 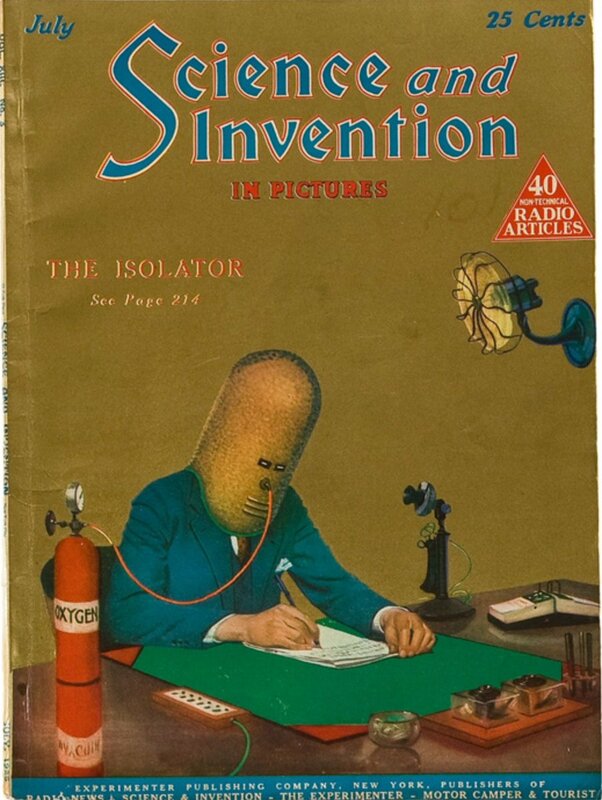 So, he created something he called “The Isolator”. 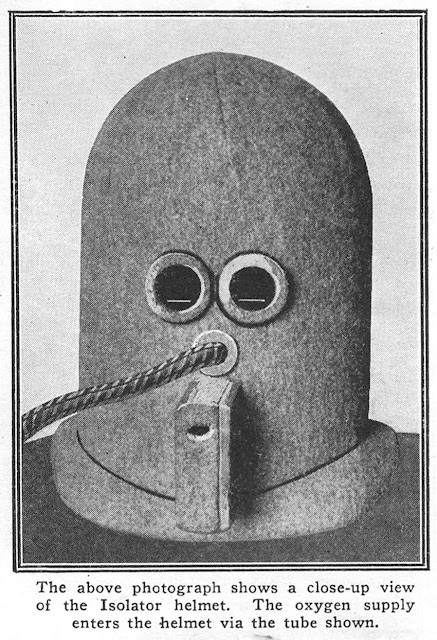 A full-face helmet made from solid wood, Gernsback’s invention claimed to cut out 95 per cent of any noise bothering the wearer. Another handy feature was the minimal vision it allowed. A small piece of glass granted the person wearing it sight, but even that was painted black, with only a thin segment scraped clear to allow you to see paper in front of them. The good (and maybe bad) of being both an inventor and publisher, is no one can stop you publishing images of your own ridiculous inventions. 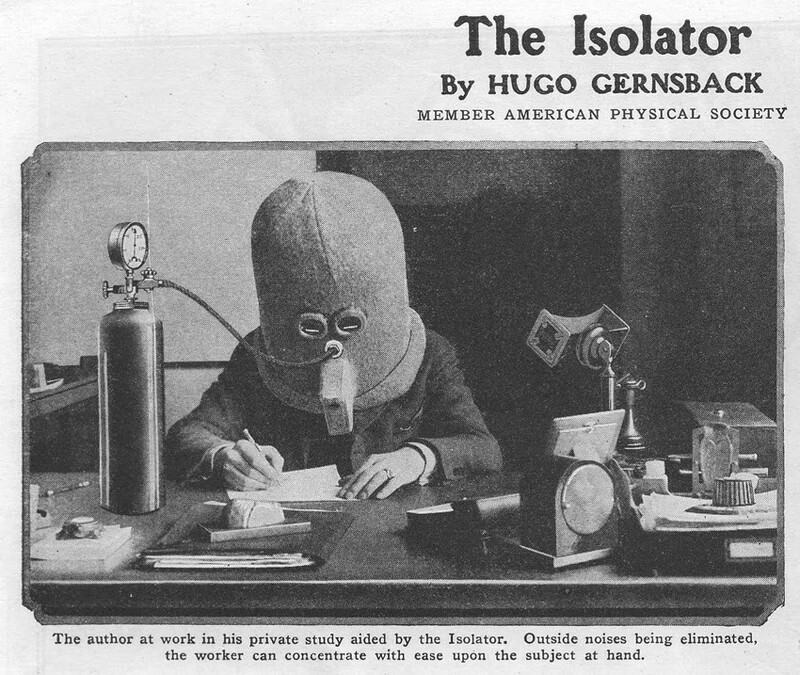 This contraption was featured in Gernsback’s own magazine, Science and Invention, in 1925. Laugh all you want, but it seems as though the Isolator may have actually worked – at least for Gernsback. His editing and writing output was so vast that some now dub him the Father of Science Fiction.